I've been thinking about an article I read recently that said parents have a responsibility to stop children questioning difference aloud as it is intrusive, hurtful and rude. 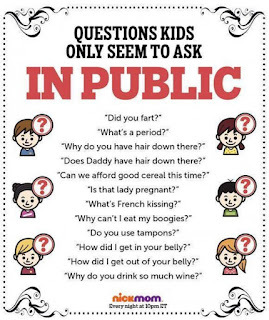 I don't doubt that questions posed by children, and adults, are at times all of those things. 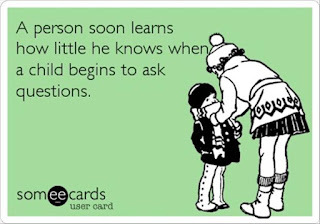 But the difference is that small people learn by asking questions. We've got google. It took me a while to work out that my youngest kid was terrified of people in wheelchairs. Then a bit more to work out she wasn't terrified of all people in wheelchairs, just some. And it took a little while longer to work out that she was only terrified of people in electric wheelchairs. It took a while longer to realise that she found them terrifying because she didn't realise that they were people in wheelchairs because she didn't know how they operated. From her perspective at knee high to an adult, they were just giant, silent, machines that glided towards her like some kind of strange part human, part machine hybrid, and then passed by on their way to who knows where. Once I'd asked a man in his electric wheelchair sitting by us in a park one day if he would show her how the wheelchair worked without him moving his arms or legs - she was fine. She understand it was a person, sitting in a chair, that worked my pressing a button. None of which was scary. I tell this story because in my view kids aren't arseholes just because they don't react "correctly" to something different or ask difficult questions. We live near a brain injury rehab. We see a lot of people in wheelchairs every single day. We have talked about how brain injuries affect people differently which is why some are in wheelchairs, some can't speak properly, some walk strangely and so on. We thought we'd covered off the topic pretty comprehensively and we probably had. What we hadn't realised is that the difference between somebody in a regular wheelchair and an electric one was hugely visual for a small person. She could see how one worked and that fitted into what she understood, but the other we hadn't provided enough information and so the gap in her understanding was frightening. We are the kind of parents that don't sugar coat anything. If our children ask us a question we answer it no matter how hard or complicated the topic is. We make sure we give them the right information and as much as they can process. And then we wait for the next question. We work hard at making sure that they understand that people are different and that different is not bad. 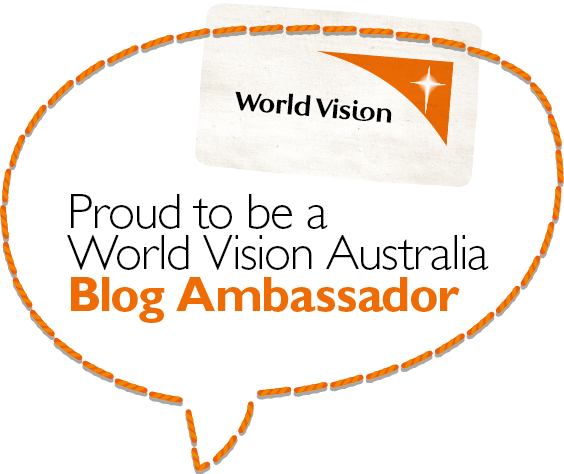 However, we can't always anticipate how they will process the world because they experience it differently to us. And they ask questions not to be rude or disrespectful but because to them, they are still in the black and white phase of life. In the same way they make statements based on facts. Mum has a big bum. There is no pencil which is the right shade of black for drawing my friend. Your cooking is not as good as Chef Clair's cooking. 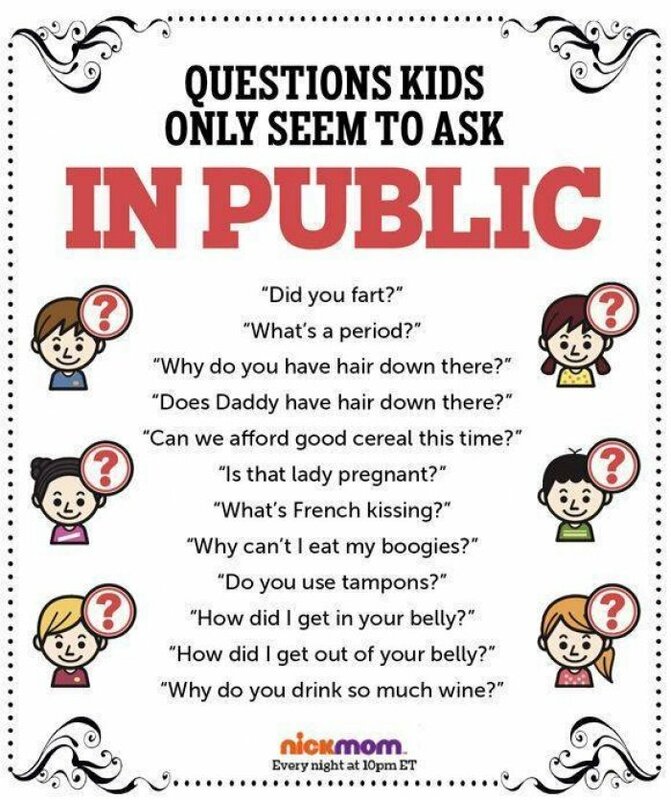 And they ask questions the same way - loudly and without a filter - and generally when you're in a public place - particularly stuck in an elevator or close enough to the person or situation that triggered the question to hear it. Mum if smoking is a dumb thing to do why did you used to smoke? Why does John's Mum eat so many sometimes foods if she doesn't like being fat? Why does that man only have one leg? Why does the man in front of us smell? 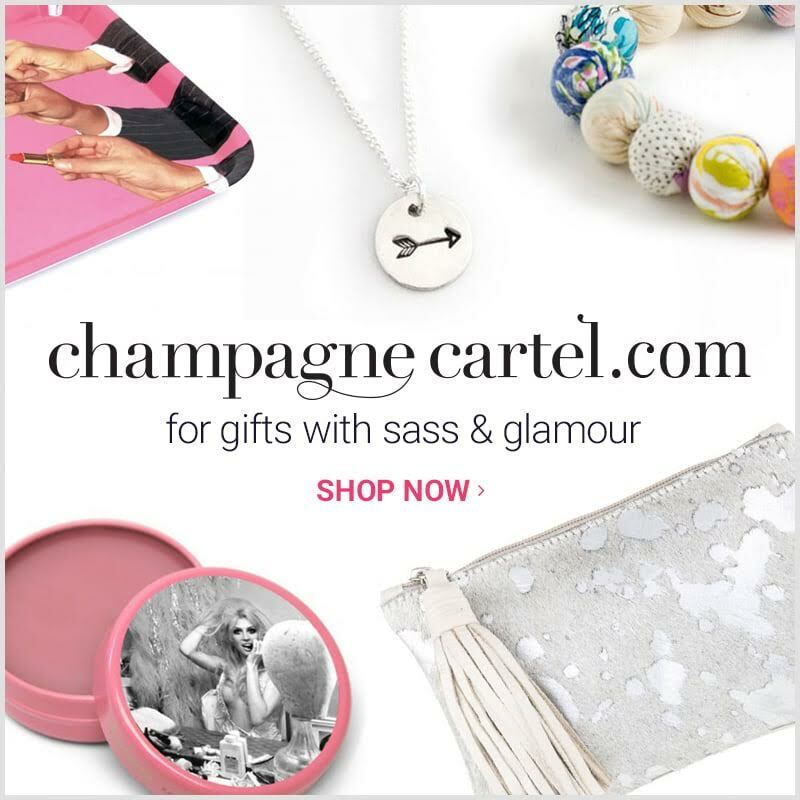 Why is that woman's scarf a hip-hap and yours is just a scarf? Why would you keep having children if you only get boys? Why does willy rhyme with silly? Why is it rude to use the word 'fart' in front of old people? Why is that man homeless - doesn't anybody like him? When people die do they miss us? Why does that old lady have hair coming out of her chin if she's not a boy? Why do I have to use a quiet voice to ask questions? 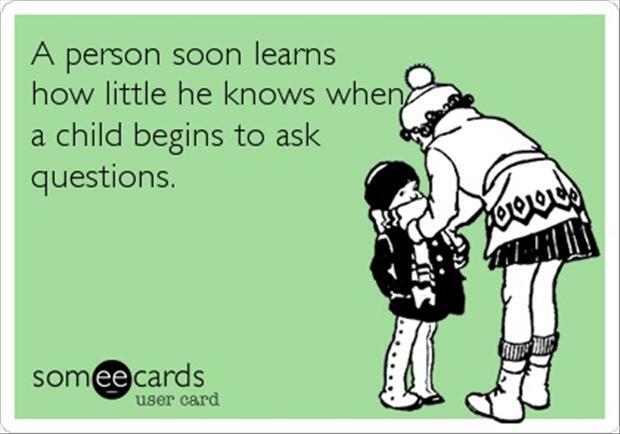 But I think we've got to embrace the fact that we are raising children that are confident enough to ask questions. Sure we also have to teach them empathy, kindness and consideration but we also can't have them worrying about offending everybody when they seek to increase their understanding of the world. I am actively trying to stop apologising to the world after a lifetime of doing it and yet, I find myself apologising to people in case offence is caused by my overly curious children who inexplicably can only ask questions at a volume which would make hardened rockers wince. Which when I stop and think about it - could sound to my children as if I am apologising for them. And I'm not. I'm extraordinarily proud of their independence, their curiosity, their common sense and their desire to explore the world. I watch them as they role play endlessly after seeing something different or hearing something new. I like hearing them flesh out things they need to be mindful about when playing with a partially blind friend - pointing out a step in a dark room, making sure they have a spot up front so they can see. I like seeing them explore their feelings even if it makes me squirm - "Pretend you are feeling really sad, like that time Mum got in an elevator and left me behind". I think its a solid play habit to pretend to be different people in different situations and see how you would deal with it - "Pretend I'm a refugee and you want to help me by giving me some books but I think your books are boring." I accept that sometimes they are going to say or do things in those games which may need further exploration and further explanation by us, as the adults. I also accept that sometimes they say things which are so profoundly wrong on every level that we have to leave the room to laugh before we address it in our serious adult voices. But most important for me, and I think for other people to remember, is that kids don't mean to be arsehats. They are small humans, desperately seeking to understand the world around them through questions and play and watching the people around them. So it's not up to parents to stop their kids asking questions even if the questions are inappropriate. It's up to us to work really hard NOT to be arsehats saying inappropriate things or asking inappropriate questions so they can see how that works in a world which is chaotic, and at times incomprehensible. So my answer is basically #dontbeadick. And your kids will probably turn out just fine.